Uniquely hand printed products. 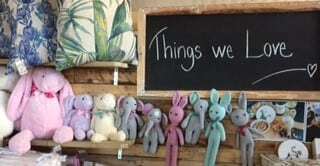 Whether you are a mom-to-be, proud new grandparents, godparents, traveller or a worlds best friend- you will find the perfect gift for your loved ones. 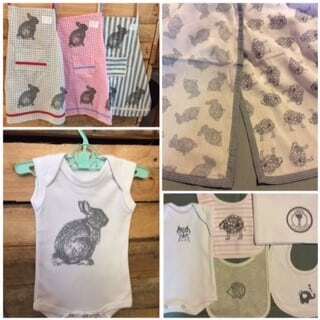 Personally hand printed baby range of bibs, burp cloth, onesies and blankets which every new mom needs. A stunning range of aprons, handy make up bags , travel bags, toys and laundry bags – well priced gifts, you will definitely find what you are looking for. 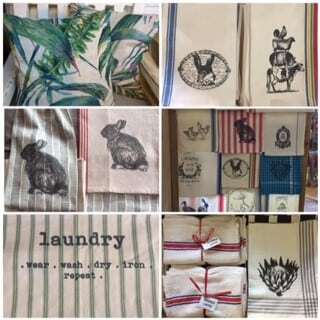 Locally created prints, (or custom made products) from table napkins to runners, teatowels, plastic bag holders and cushions. Inspired by trips to India where the art of block printing is perfected, Jackie will return and keep creating the most beautiful items that will be cherished, used daily and valued. Come spoil the ones you love or get something for yourself – be it a kitchen tea, a thank you, Christmas or celebration gift , Things we Love is the perfect place to find that special gift.